Freedom Of Creation teamed up with Atelier Ted Noten, to create the Dutch Fashion Awards for the second year in a row. 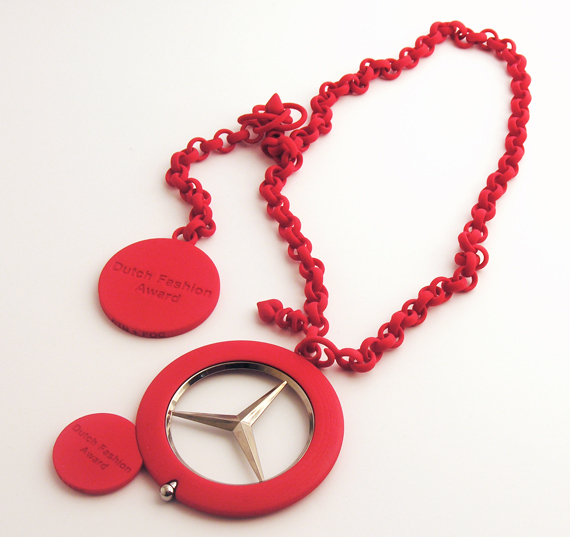 Special attention was given to the Mercedes sponsored award, the 3d printed design incorporates the well known Mercedes Star. For the awards Freedom Of Creation made use of their well known 3D textile chains combined with items representing each of the 5 prize categories.